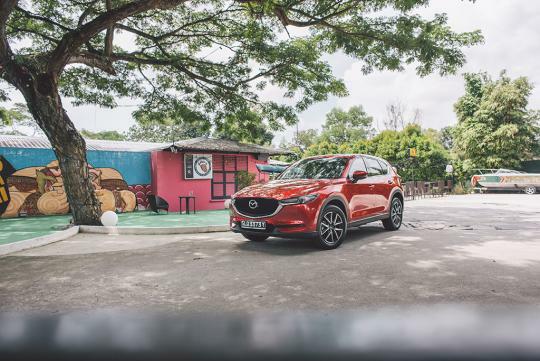 As part of its future plans, Mazda has announced that it will be introducing a new generation of petrol engines that are cleaner than electric cars. To be more accurate, these engines are said to be cleaner from a ‘well-to-wheel’ point of view – which measures emissions over the car’s entire life cycle, including the fuel it uses. To be dubbed Skyactiv-X, these engine s use compression ignition technology, in which the fuel-air mixture ignites spontaneously when compressed by the piston, just like in the diesel engines. However, the good-old spark plugs are still present and they are there to mix petrol and air together in the cylinder, with the mixture then ignited either via compression at a lower load or via spark at higher loads. Thanks to all these new tech, the new petrol engine is around 20 to 30 percent more fuel efficient over the current Skyactiv-G of the same size. In fact, the new engines may even have better fuel economy figures than its Skyactiv-D diesel engine! Set to be launched in the market in 2019, these engines will also come fitted with a supercharger to squeeze out 10 to 30 percent more torque when compared to today’s Skyactiv-G engines. Interesting to note supercharger is preferred over turbocharger. They must be using the snail type supercharger that looks identical to a turbocharger. More suitable for a inline4 as the roots type supercharger is more suitable for a V-engine. A supercharger is used because theoretically it will have less turbo lag coz no need to wait for the exhaust gases to spool up the turbine. The spooling comes from the engine crank via belt drive. Yes but using a centrifugal charger will not help low end torque. I am also interested to see what the final config will be. It might be that the cylinder scavenging requirements of the compression ignition scheme somehow don't work well with turbo plumbing. or maybe the supercharger is electric driven with a dynamo in the exhaust to scavenge electric power. Lets see. What has replica watches got to do with Mazda?